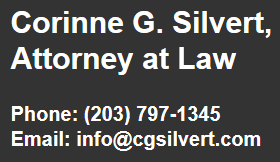 Corinne G. Silvert graduated from law school with a Juris Doctor degree, with high class rank. She was admitted to the Connecticut State Bar in 1983. Since that date she has served clients in Fairfield and Litchfield Counties who have employment problems, with a strong emphasis on workers’ compensation claims. She concentrates on representing people injured or sick because of their work, who need help receiving services or benefits. She helps with unemployment compensation appeals and wage and hour disputes, primarily representing employees. Corinne appears before administrative agencies responsible for workers’ compensation claims and unemployment compensation claims at several levels of administration hearings. She has extensive experience in reviewing and negotiating severance agreements, non-compete agreements and restrictive covenants, chiefly representing employees. Clients Corinne has helped to obtain major settlements include school teachers, factory workers, hospital aids, commercial truckers, nurses, electricians, construction workers, high tech workers with repetitive injuries, and managers. She was a member of the Executive Committee of the Workers' Compensation Section of the Connecticut Bar Association for an extended period. Also, she was a member and chairperson of a panel of the Connecticut Bar Association Resolution of Fee Dispute Committee. She served on the national Employment panel of the American Arbitration Association and has conducted arbitrations administered by the American Arbitration Association. She was a member of the Regional Advisory Council to the Connecticut Department of Children and Families. She is a member of the Connecticut Bar Association, the Connecticut Employment Lawyers Association, and the Danbury Bar Association. In addition to trial work, Corinne has been President of the Danbury Visiting Nurse Association. 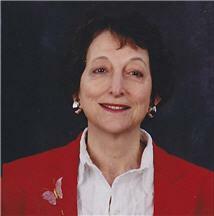 She served on the Board of Trustees of the Danbury Child Advocacy Center and the Friends of the Danbury library. She was a founding member of the Danbury chapter of the Heart Association. She served on the boards of trustees of the Volunteer Center of Danbury and the Woman’s Center of Danbury. Corinne graduated with an honors degree from the University of Manitoba. She holds a masters degree from Western Connecticut State University. She graduated from Quinnipiac University School of Law in 1983. She is admitted to the Connecticut Bar and the United States District Court, District of Connecticut and District of Northern California.